It's been a long time since I posted here. As a result of an IM I received from hafnutz67, the experience I'm going to talk about is a shortened version to cover a period of a year and half. About a year and a half ago I replaced my 19 inch rims with some 20 inch Rims. The Rims were the Helo HE875 which by all accounts were stated to fit. The reason at the time was that I wanted some black and chrome rims to match my black and chrome look. I also did not want to pay $250 for each tire at a minimum because of the oddball 19 inch tires size. I started hearing some noise so after taking it to Pep Boys, my brakes, including the rotor were replaced with upgraded brakes including bigger pads. At that time it was determined that the calipers were rubbing against the spokes of the riims. They sawed down the caliper some and the noise seemed to go away. Then, it came back again. I talked to the place where I got the rims from and it was determined that they were rubbing the caliper. I tried out some other rims and each one upon arrival (after doing the test fit) rubbed the caliper. I then did some research on rims and offsets and found out a lot of information which helped me find the rims that I have now. Here is some to help everyone here. Keep in mind that I am not a mechanic, DIY, or ASE Certified...I'm just a Journey Owner who is a consumer that went through pure Hades and just came out of it as a result of research and trial and error. 1. Know the offset of the OEM Rims which in the case of the Crew Rims, they are 40mm. Since the Helo HE875 are 38 mm offset, it's a good chance they will not fit. If you base the fit solely upon what a website, magazine, or tire place tells you, you can be prone to erroneous information. Yes, you can see Visualizers that show what the rims will look like on the Journey but that does not mean that they will fit. 2. When it comes to offsets, the easiest way to know is that the more the design (face) of the rim sits on top of the rim (more forward), the more positive the offset. Positive offset will push the design face of the rim more towards the street. The less the offset, or more towards 0 or past 0 to negative, the more the design face of the rim is pushed towards the brakes (inward). When it's 0, it's pretty a "deep dish" rim where the design face is truly pushed in and there's more "outside rim" to wipe around inside. 3. Our bolt pattern, 5x1275 lug 5 inch or 127mm is a very hard bolt pattern to find aftermarket rims that will fit on the Journey. There is very little selection in this bolt pattern. Our Journey require a High Positive Offset as mentioned in Number #1. 4. Do not try or let anyone tell you to use spacers to account for lower offset, 0 offset, or negative offset wheels. This will cause problems no matter how little spacing is used. 5. When you get bigger pads, they will push the caliper out towards the spokes of the rim. Usually, one can get bigger pads and not have the calipers rub the spokes or a part of the bore on the OEM wheels but there can be some exceptions. It's best to try to get the bigger pads with the OEM Rims first before getting another set of rims because in case that there is a caliper issue, you still have your OEM's to fall back on. 6. 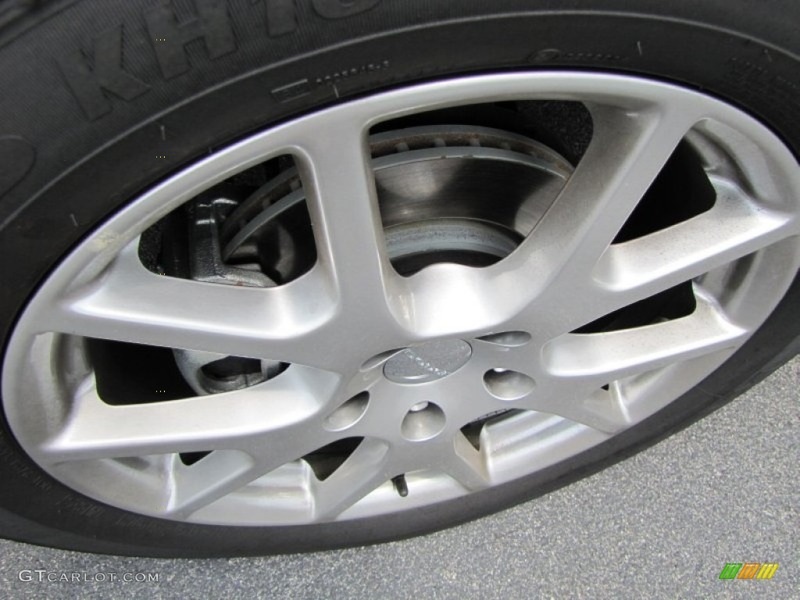 Know that when going with larger rims that your tire size and treadlife will be affected. For example, if you are used to getting 70,000 mile tires, they will be almost nonexistent in 20's or above. My Falken Pro G4 A/S that I have right now (245 45 20) are 45,000 miles treadlife at $140 each without road hazard plans, replacement plans and taxes. For 60,000 miles, the tires can run from $200 to $250 each without road hazard plans, taxes and replacement plans. Also the larger the rim, the lower the profile as well. Lower profile tires tend to have less treadlife but this is not ironclad. Lower profile tires will also make the ride stiffer as the usual "cush" starts to less in existence and feel which means you will feel every bump and nuance in the road including vibration. This will have nothing to do with the suspension....it's more of the "rim" is making contact with the road and there is less "tire" to absorb it. 7. Know that with a wider tire, rubbing can happen. My first set of 20 inch tires were 265 45 20. They started rubbing a little so I went down to 245 45 20 and they have worked out fine. I have not tried the 255 range so I will assume that the 245 would be the recommended max unless your going with a 255 40 20. 8. Form follows function. In my case, the Helo HE875 are a PITA (Pain In The ....) to take off. This is because this rim has an insert that has to be completely taken off with an allen wrench before you can get to the bolts of the rim. This insert sits on top of the rim and each spoke has it's own screw. Since the rim has ten spokes, that's ten screws on each wheel that have to be unscrewed just to take off the insert BEFORE you can take off the 5 bolts to get the wheel off. 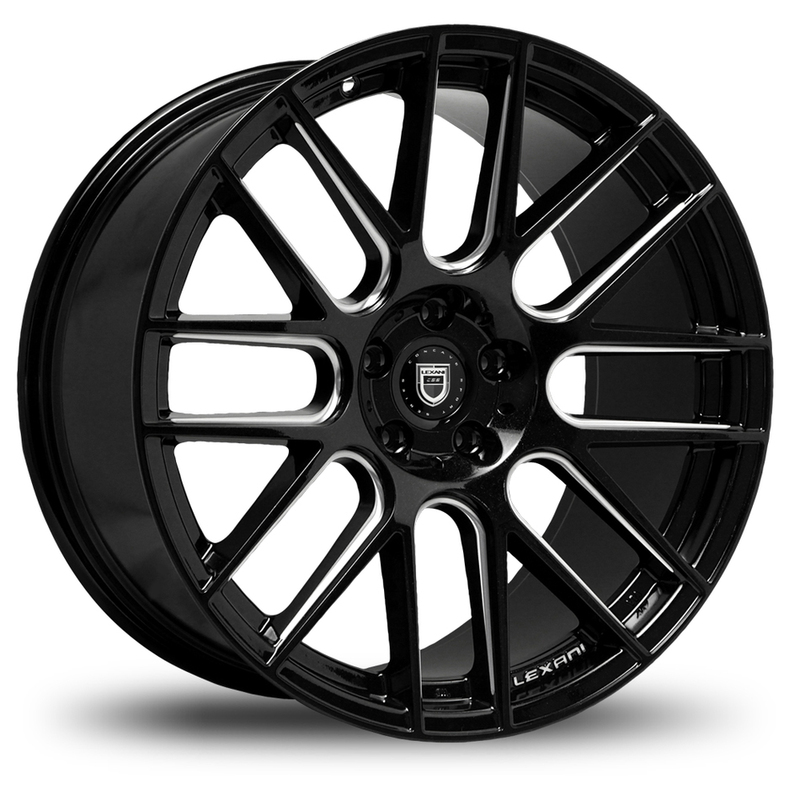 When looking for rims, don't go just by the look alone...also figure how labor intensive they will be to take off. Everything that looks good is not always functional hence form follows function. Yes, the Helo HE875's looked great but they were a PITA to take off and the plastic inserts crack as well especially when going through the car wash. The Rims that I have now are made by Lexani and they are 40 mm offset rims. The noise I heard was my front struts which were worn and I replaced them today. Now, I have no more noise and no more rim rubbing the brake calipers. I did the ProStop Premium Ceramic Brake Pads which are big and quiet. My only problem now is that my Bluetooth on my radio stopped working which that is a different subject. The first pic is my Journey with the Helo 875 Rims. The second pic is my Journey with the Lexani CSS8 Rims. Again, this is my experience. Your experience will vary. Mods...if this is in the wrong area I most humbly apologize. I am in this case covering wheels, tires, and brakes in one fell swoop. If this is truly help others, you have my permission to use it as a sticky, article, or whatever it's called. When I bought my 2011 Nitro, it had 20" wheels, and a very stiff ride. I don't remember the size of the factory tires, but I was actually able to go 2 sizes bigger to give a higher sidewall, and thus a "softer" ride. I like your look of black and chrome, but the black wheels actually look a lot better. Good choice. Have you noticed any difference in your ride? There is a Jeep Grand Cherokee that I see around town that must have a package similar to the Blacktop. It may be the color of the Jeep, but the Black wheels look horrible, IMHO. They are flat black; that may be the reason that I don't like it. My Crossroad came with 19" Hyper Black Wheels, and I really like the look of them. One Sunday, I took my Crossroad over to my Dealer to compare the wheels on all of the DJs in stock. At least to me, the Crossroad wheels seem to have a slightly different offset than all the other DJ wheels; it looks like a deeper dish, so that the tires sit slightly farther out than the rest of the DJs. I did buy tires in the size of the Red Crossroad Dodge was showing around the country last year when the Crossroad was initially introduced: P255/50R19. They are .15" higher than the factory tires, so they give me a slightly better ride. They are 1.18" wider than stock, so the car handles a lot better. They performed excellent in the snow, even though the "experts" say you need a skinny tire for snow. They are Bridgestone Dueler H/L Alenza Plus with a 70,000 tread warranty. These will probably be the last tires I'll have to purchase for my DJ. I bought a set of Caliper Covers off of ebay, and the Crossroad was listed.. The mechanics worked on them for about two hours, and they did not fit: not enough clearance. They did not charge me! The ebay seller said they would work if I used 3mm spacers. No thank you! I believe that the wheel size designated for the DJ is 40+ offset, so it makes sense that something smaller wouldn't fit. Just to correct some information. Regarding offset, the lower the number, the further away from the suspension the wheel is. So, a +25 offset will stick out more than a +35 offset. Likewise a +35 offset will be tucked in more than a +25 offset. I did some searching on Journey wheels and found that the Journey 19" wheel is 19"x7", 71.5" hub bore, +35mm offset. When I buy 20"x8.5" wheels, I will try to get them in a +30 offset to ensure they're pushed out to the fender edges for a more aggressive look than stock. Generally speaking, I've found that for every 0.5" of added wheel width, you should also add 5 mm to the offset to avoid the wheel and tire sticking out beyond the fender. A +40 offset seems a little overkill to me as far as tucking the tire in, and may explain why your 265 tire was rubbing. Looking at those Helo wheels, I'm not surprised they were clipping the calipers. Brake pads generally aren't thicker from pad to pad. There may be minor tolerance differences from manufacturer to manufacturer, but there is only so far your caliper can extend, so they tend to be the same. The design of the Helo wheels is to blame. They were designed for cars with smaller rotors and calipers. You would want the 22" version to fit on your Journey. Installing fresh pads and rotors brought the calipers out to the factory dimensions, which the Helos crashed with. Halfnutz67, glad to help! I wanted people here to know the information so that they won't have to go through the same things I did. Dhh3, the ride is great! No issues! B4Zinga, what you have mentioned in not entirely correct. The tire size had nothing to do with the rim rubbing...it was the size of the tire as they were too wide. 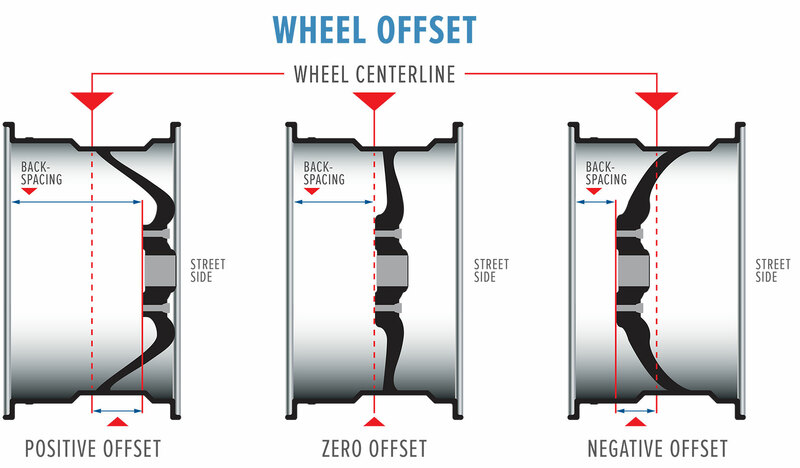 When it comes to wheels, it all has to do with the design face of the wheel which determines the offset. A 35 mm offset rim will never be more tucked in than a 25 mm offset rim. The offset of a wheel is the distance from it's hub mounting surface to the centerline of the wheel. As mentioned by others including myself, the OEM Rims are 40 mm offset. This has been verified by Dodge. If you get a 30 mm offset riim, they will not fit. I can say this for certain not just because of the numbers formula but because my very first set of rims I tried was some 18 inch Vision Warrior 375 wheels with a 25 mm offset. They rubbed the OEM brake calipers during the test fit. The pads and rotors are above factory specs as the OEM brake pads are much smaller which is why most Journeyers that have a 2011 (I cannot account for other years) went through two sets of brake pads before reaching 50,000 miles. Getting the bigger brake pads and upgraded rotors will help in increasing brake life and achieving better stopping power. The issue was not in me getting bigger brake pads...it was getting smaller offset wheels. Although 22's can go on the Journey, 20's work better for my taste, ride, and treadlife. Going to a 22 will cause one to feel even more of the road as there is much less tire (the bigger the wheel the thinner the tire...unless it's off road tires on an off-road vehicle which is a different matter) and can actually decrease the life of your struts and suspension unless one is going to upgrade those items to account for the 22's hence the old adage of "Just because one can doesn't mean that one should." Positive Offset (1-40 and up)- The Hub mounting surface is toward the front or wheel side of the wheel. Positive numbers are ascending (increase, go up) and the more positive the rim, the more the design face of the rim faces the street. Zero Offset (0)- The hub mounting surface is even the centerline (center) of the wheel. The design face of the rim at this point is centerline or in the middle between the street side and brake side. Negative Offset (-1 to -40 and below)- The hub mounting surface is toward the back or brake side of the wheel's centerline. Deep Dish Rims typically have a negative offset. In this case, the design face of the rim is no longer centerline but pushed in more toward the brake side. The best way I've been able to learn this is with basic geometry: to the left is positive, the middle is zero, and the right is negative. I just wanted to mention that the information you posted Black Diamond is very misleading and confusing. The information that Bazinga posted is 100% correct. And tire size has nothing whatsoever to do with the rim rubbing. It's not the offset it's the actual style of the rim that determines if it will clip the calipers. If the spokes curve inwards towards the calipers they will most likely rub. If the spokes are straight or curve outwards away from the calipers they will not rub at all. I just test fit and bought +2 offset rims for the ultra aggressive wheels hanging out the fenders look, with slightly angled outwards spokes and it gave me 2 whole inches of clearance to the calipers. It's been a long time since I posted here. Not to beat a dead horse (really not the intent) but I wanted to provide a response to Steve T and SeanTacular. The information I presented is correct. I will add that the style (or "Face Style") and backspacing determines how close the spokes hit the calipers which still based mostly by the offset. Also, the tire size width (265 45 20) did rub however it was not the caliper that it rubbed it was the fenderwell. Once I went with 245 45 20 tires, no rubbing of the fenderwell occurred. I can only say this for the 2011 Dodge Journey and it's based upon my experience and talking with difference companies (along with internet research). As I mentioned, others experience may vary. For example, the Helo 875 rims had a 38mm offset and they rubbed the brake calipers (it was slight but over time it became an issue. The Lexani CSS-8 rims with the 40 mm +offset do not rub the calipers at all because they are 40 mm +offset and have a flat Face Style like the OEM 19 inch rims that originally came with my Journey.